The baKblade® Big Mouth is the first of its kind. Our patented safety blade technology (known as dryGlideTM ) allows a user to shave their own backside without the use of shaving cream! That correct, a dry shaving shaver without the requirement of batteries or moving parts that break down. Our dryGlideTM technology provides a safer and smoother shave in comparison to other shavers on the market and does not leave stubble behind making it the most unique back shaver on the market to date. In addition from being extremely effective our dryGlideTM blades also take less than 5-7 minutes to completely shave an entire backside when dry-shaving and it feels just like using a back scratcher. A few swipes up and down, left and right and back hair will be gone quickly. Also, our wide blade is ergonomically positioned to keep constant pressure for a smooth shave and the long flexible handle makes shaving even the most tough-to-reach spots easy. To Use: Reach back until blade contacts hairy surfaces and shave. A few swipes up and down, left and right and back hair will remove easily. Manufacturer suggest dry-shaving. However, can be used when wet shaving in the shower. 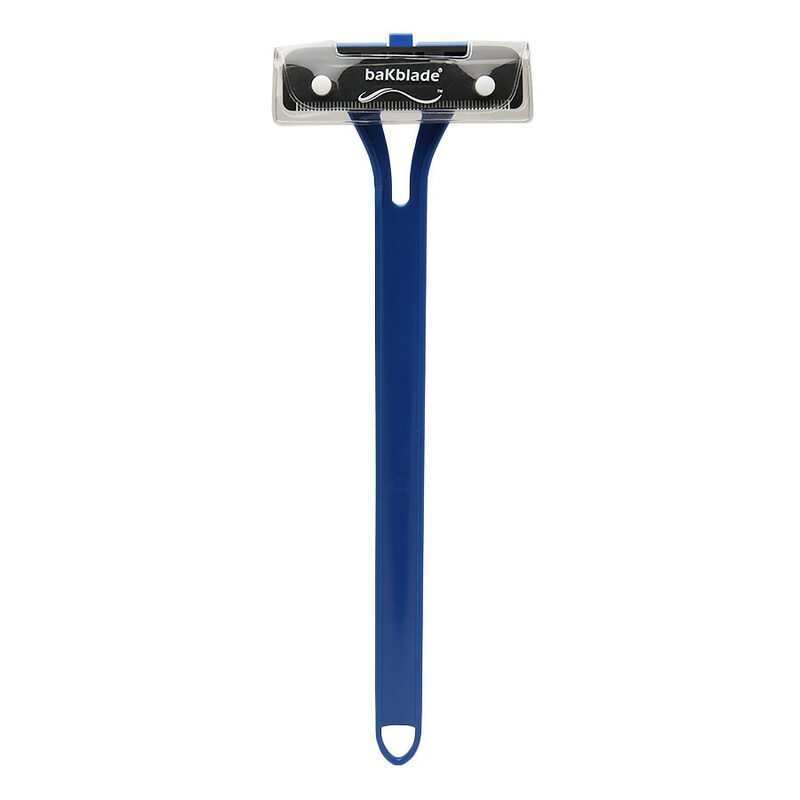 Replace blade about every month depending on how often you shave. How to Replace baKblade Blades: Holding the end of the handle from the backside pull back on the middle top lever with your pointer finger while sliding the blade out of the track. Slide the blade out of the track completely before release the middle top lever.